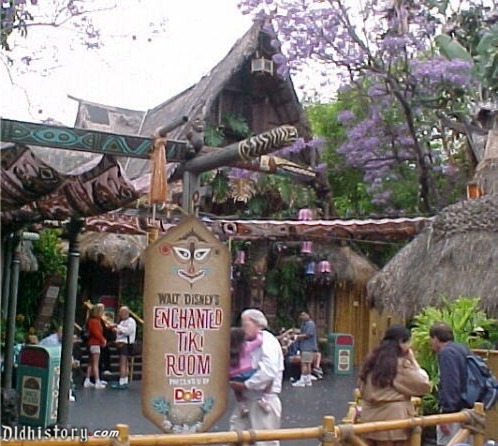 Disneyland plans to demolish and replace the Adventureland archway sign and redirect long queues waiting to order Dole Whip treats in an effort to improve pedestrian traffic flow at a notoriously crowded pinch point in the Anaheim theme park in advance of the opening of Star Wars: Galaxy's Edge. Have no fear, the iconic Adventureland archway sign won't be gone for long. Disneyland plans to replace the 1990s marquee with a nearly identical sign that stretches all the way across the entry pathway. The goal: Complete the project before the May 31 grand opening of Galaxy's Edge. The changes to Adventureland are part of a Disneyland initiative dubbed Project Stardust, which seeks to relieve pedestrian pinch points throughout the park ahead of the massive crowds expected to descend on Galaxy's Edge.